Marty McFly of Back to the Future renown whizzes by on his skateboard — and into your collection! One of four in this series of 3.75-inch characters, Like other new renderings in the Reaction Series, Marty has five articulation points so he can teach your other action figures a thing or two about an ollie . He’s in retro Kenner format, and is ready to help you reminisce about banana boards and acid-wash jeans — in other words, all the best things to come out of the 1980s. If you’re a Back to the Future nut, make sure you snap him up. We also have Emmett Brown, Biff Tannen and George McFly in stock so you can collect all four of ’em. Funko and Super7 bring you this new collection of figurines based on the classic 1970s and 1980s Kenner aesthetic. Hearken back to the Universal Monsters suspense and sci-fi horror thrillers of yore with this 3.75-inch Frankenstein rendering. Five points of articulation make him poseable and ready for display, too, as his hands are held out in classic brooding and scary fashion! A coffin-style blister packaging format and a card back featuring a classic portrayal of Frankenstein from the film completes this product. Grab it and check out The Bride of Frankenstein, too! 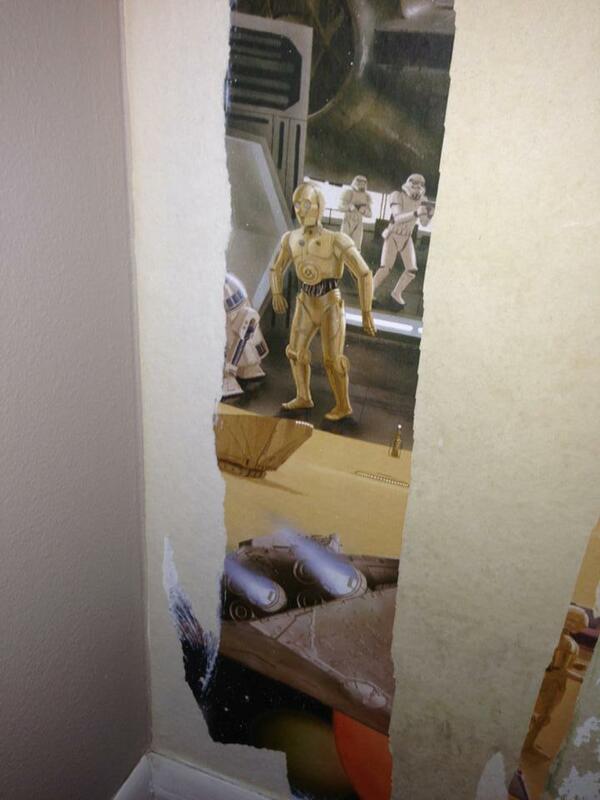 My friend was peeling wallpaper in his new son’s room when suddenly … awesomeness. Come across this on Reddit….